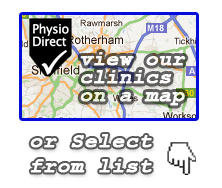 Welcome back to the PhysioDirect blog. Hopefully you’ve already acted upon last months post on goal setting article, and are on track to get everything you want from 2017. This month we delve into the topic of occupational health, and the role physiotherapy plays. In a nutshell, occupational health quite simply means being fit and healthy for work. If you’ve ever been lucky enough to be a cog in a big corporate wheel, you might be aware that companies often have an entire department completely devoted to providing occupational health services. On the surface you might think this is very nice of them, but I can assure you it is not done out of the goodness of their hearts. Keeping a workforce fit and healthy means less people going off sick… which means not having to pay sick pay, not having to hire in agency staff at a greater cost, and overall, saves the company money. Occupational health services can be involved at many levels throughout peoples employment, even during the hiring process. Many companies do health screening/biometric assessments as part of the interview, to ensure someone if physically fit to do their job. This can look at things such as blood pressure, blood tests, vision, hearing and general movement and fitness levels depending on what they are required to do for a particular role. During employment, occupational health services usually work as a kind of mediator between the employer and employee; with the aim of keeping someone in work, or if they’re off sick, to get them back to work as soon as possible, trying to keep both parties happy. This can mean involvement from physio’s for aches and pains, nurses for more general health issues, and even counsellors to help employees with any mental health issues or stress related illness. Occupational physiotherapy is in my view, very much about problem solving. People often have pain from doing a certain task at work, which they need to continue doing to fulfil their role. For example too much lifting over and over again can lead to back pain, too much screwing and unscrewing things on an assembly line all day can lead to elbow or shoulder pain, and even too much sitting without moving could lead to neck pain and stiffness. Physiotherapists therefore have to find different ways of doing things, or make small alterations to the overall workload to keep someone happy and productive in their job. A lot of the time, pain can be reduced or prevented simply teaching someone a few strategies to give them different options. For example, someone with shoulder pain who spends all day tightening bolts on engine blocks, can offload their shoulder by changing the position of their back. Sometimes this might mean suggestions to change the tools they work with, like longer lever wrenches or a change to electric power tools to reduce the load on irritated structures. An upgrade to more modern equipment which is generally designed to be much easier to use and put less stress on the people using them can often help. If someone has a desk job and has pain from typing or using their mouse all day, it might mean looking at things such as an ergonomic mouse or split keyboard to help get a more comfortable position and reduce overreaching. Making people aware of their daily habits can also be a big help to reduce pain. For example if an office worker spends all day sitting down and only moves for their half hour lunch break, getting them to move around every 20-30 minutes can help prevent their neck and back from tightening through the day. If a mechanic is lifting and fitting parts or bending and crawling in confined spaces all day, and only stops when their pain forces them to, getting them to anticipate how long they can work for and take a few minuets break before things get too bad can help keep pain to a minimum. A good way to think about this is ‘getting ahead of the pain’. Communication with the employer is also important here, making sure they understand any changes they need to make to support their staff. That wise old saying ‘prevention is always better than a cure’ applies well here; as ensuring workers keep fit, active and strong can help prevent problems from occurring in the first place. Some companies therefore incorporate warm ups and cool-downs designed by physiotherapists as part of the working day. An example of this is a local car manufacturer in my area, that has all its employees go through a routine before starting on their assembly line. Other companies like British Gypsum have taken initiative by including preventative exercises for their employees on their website. You can see our very own Owen Robinson going through a few of these here. When an injury does arise, specific exercises might be prescribed by the physiotherapist to get someone pain free and functioning fully again. For example if someone has back pain from a lifting injury, working on squats might take a priority. 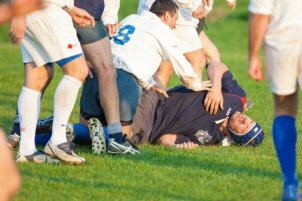 Working on hip mobility, exercise technique and building strength could help reduce risk of re-injury and more robust in general. Linking the exercises to the functional activity the person struggles with (i.e. lifting a box off the floor in this example) in the treatment sessions, can also add a bit of incentive and focus. My own personal experience of occupational physiotherapy has been a great learning experience. I worked inside a big company, having to work with human resources, occupational health nurses, and a team of employees. This helped me learn the role everyone had within each team, and gave me a general idea of how the business worked. I was also fortunate enough to be shown round different parts of the warehouse and other more specialised areas, which gave great insight into the very physical nature of some tasks, and how people might move to get things done. All this extra knowledge helped when putting together treatment plans, looking at different movement patterns, and working out ways to improve someones working habits. If you want to find out more about occupational health and the role physiotherapy plays, check out the Association of Chartered Physiotherapists in Occupational Health and Ergonomics (ACPOHE) website here. Otherwise, stay tuned for our next update! I really like how you mentioned that physiotherapists can keep someone happy and productive in their jobs. I’ve had a lot of back pain for the past several weeks. Having someone be able to come and help me change things around to ease the pain and make things easier would help me feel a lot better! I personally agree with the concept of “occupational health”, as it is not only beneficial for employees but also beneficial for the employers and the mentioned addition of physiotherapy in it is very impressive.